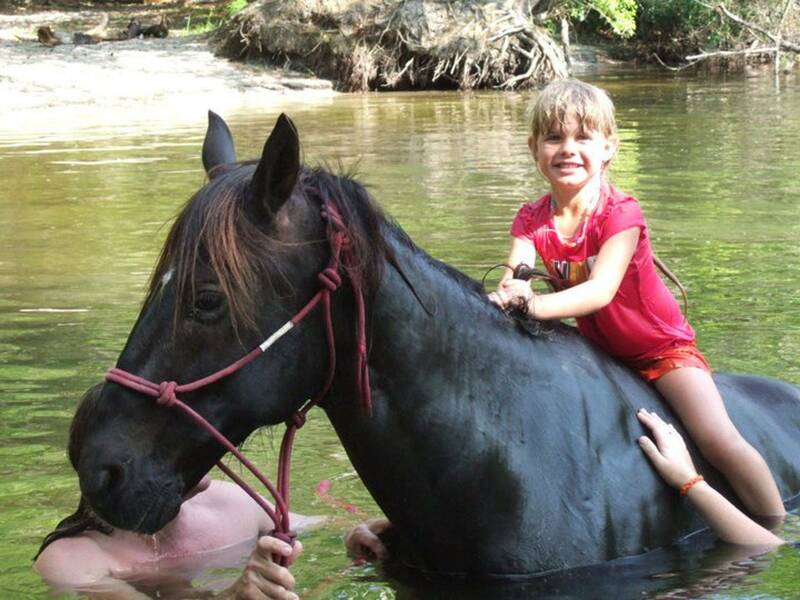 River Rides will be available in Spring! 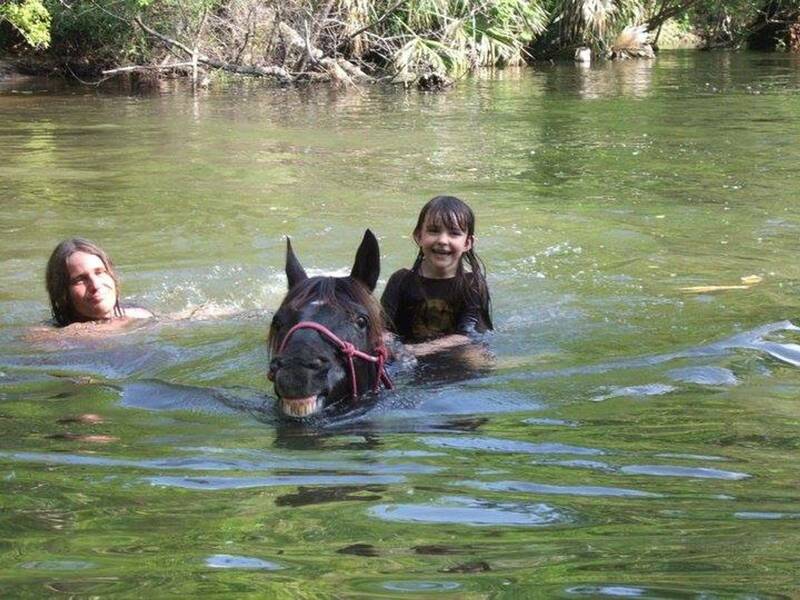 Swimming with horses is an amazing adventure! 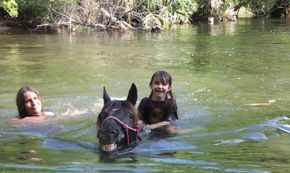 Our most popular ride that includes swimming with horses is The River Ride! 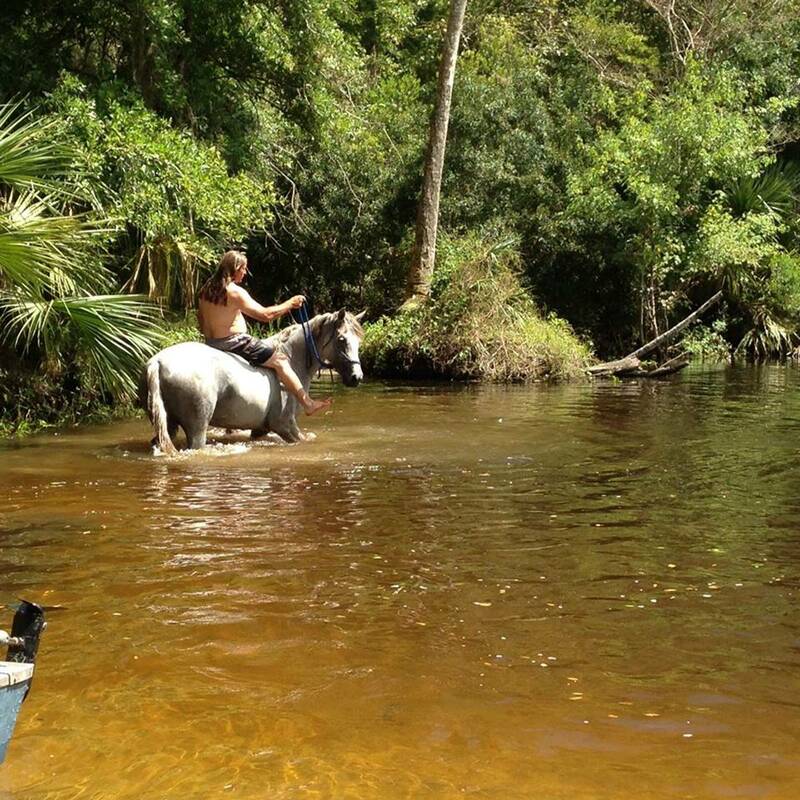 The River Ride is a 3 hour excursion. 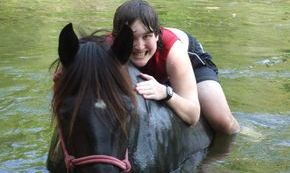 This includes a 1 hour ride to the river, then a 1 hour stop at the river, then a 1 hour ride back to the trail head. During you 1 hour stop at the river, you will be offered the opportunity to ride a horse while it swims. You may choose to bring along snacks, towels and drinks. 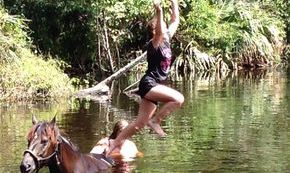 You will want a camera! Please be sure you can keep your electronics like cameras and phones dry. 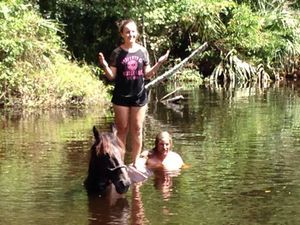 Just remember this is Florida and it can rain unexpectedly. 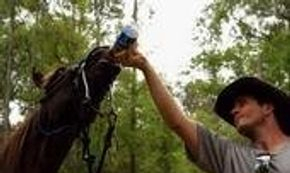 The bugs can be pretty rough at times, so you may also want repellent. 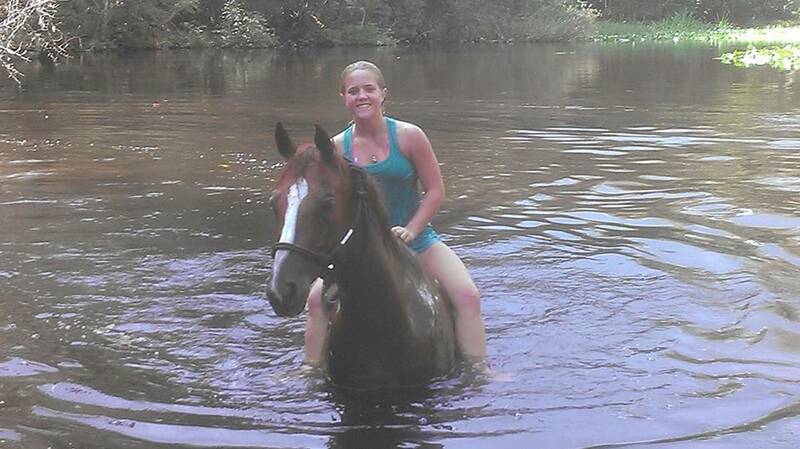 You will want to ride in normal riding attire. 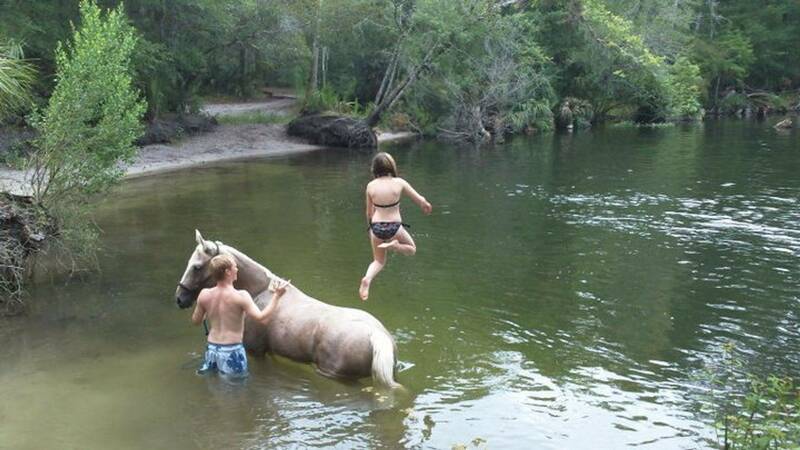 If you want to swim, you will want to bring a swim suit. There are plenty of trees to change behind, but no formal dressing room. 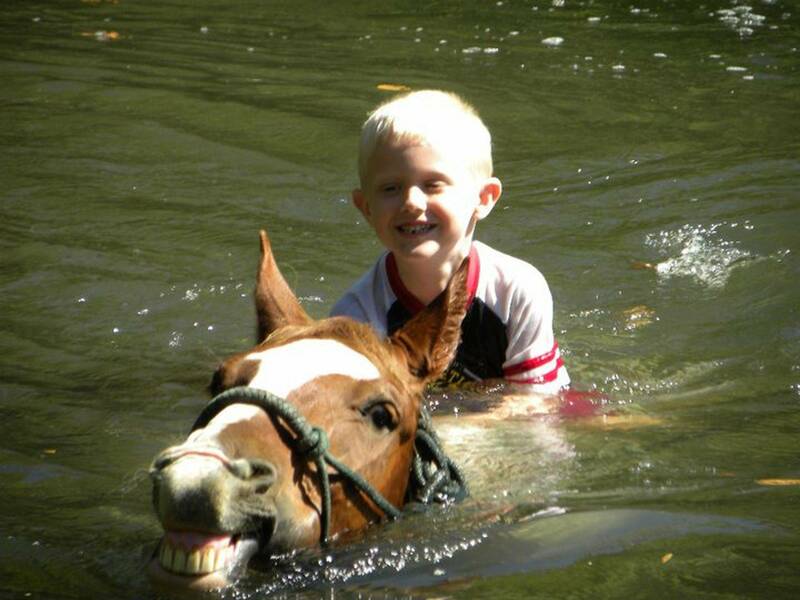 You will be in the water, if you choose to ride a horse while it swims. 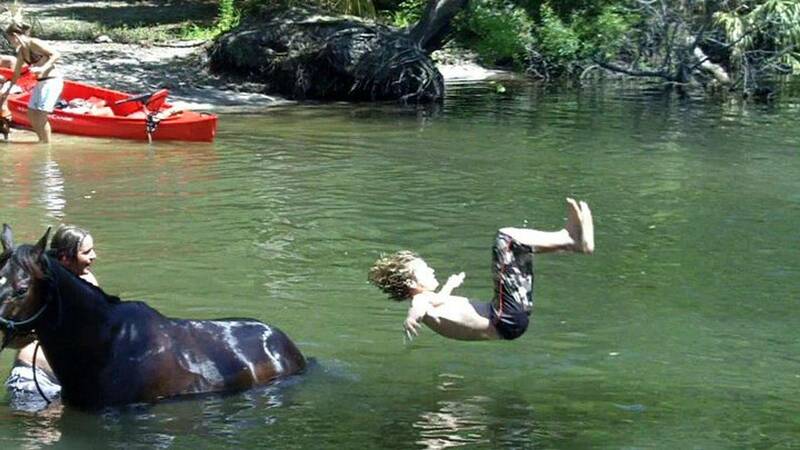 But you may also choose not to ride a horse while it swims. 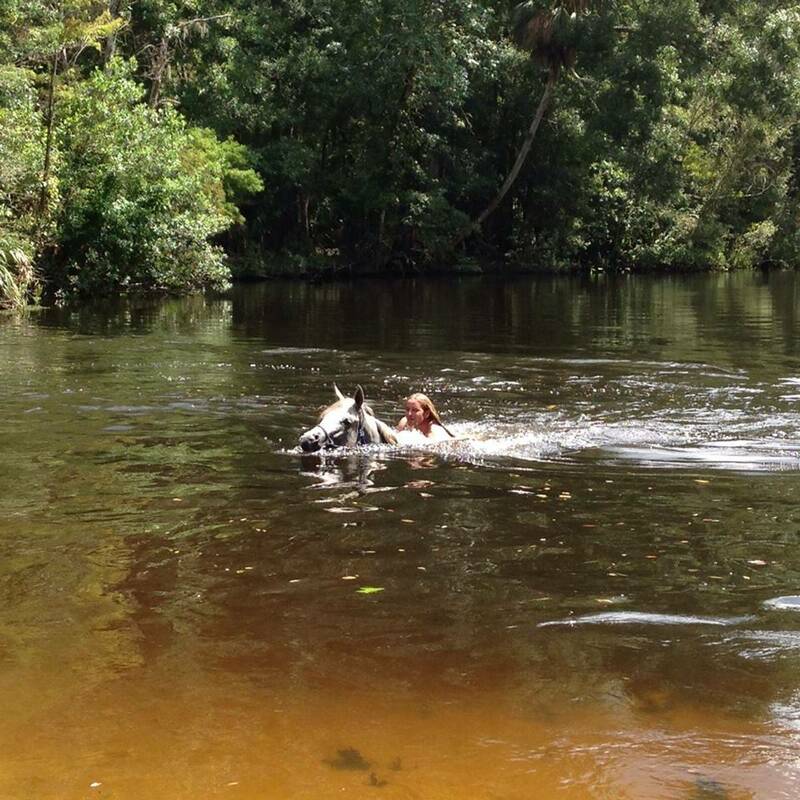 Swimming is not a required portion of The River Ride. 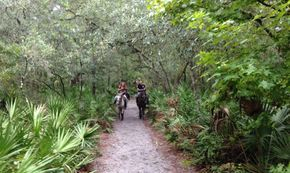 This adventure is available for all ages and experience levels! 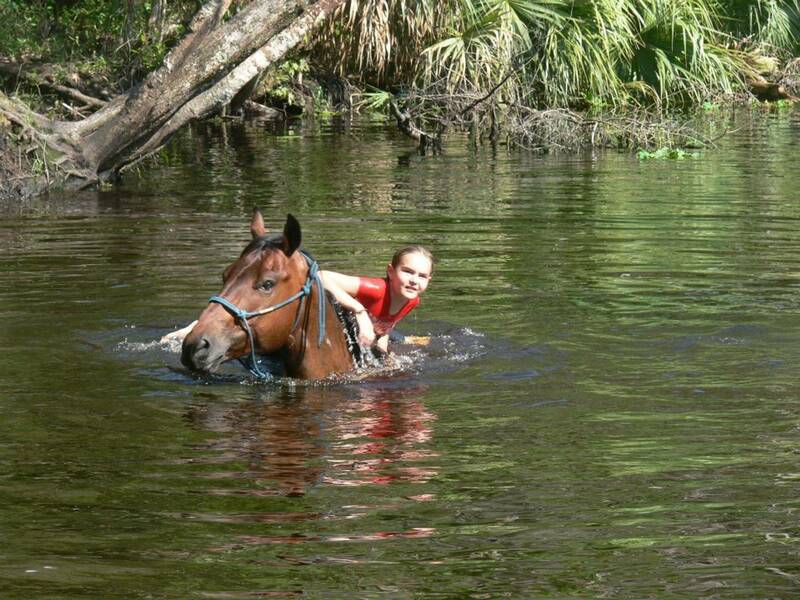 Sorry, 1 and 2 hour rides do not include swimming with horses. 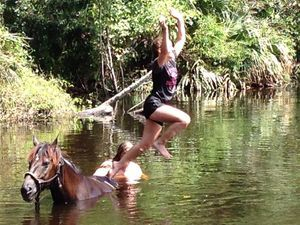 You may also include swimming on horseback with All Day Rides and Overnight Camping Trips. 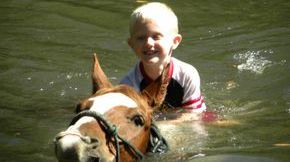 All Day Rides are not available during summer. 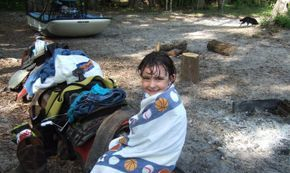 Overnight Camping Trips are only available in the fall.